For the 2013 season, Noah The Musical will be playing at the Sight & Sound Millennium Theatre in place of Jonah. 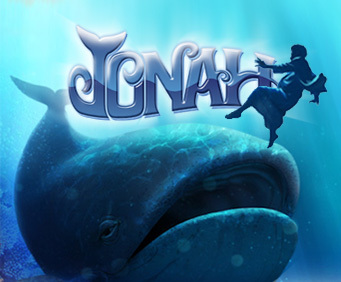 A trip to Lancaster simply would not be complete without taking the time to enjoy a high caliber stage production at the Sight and Sound Millennium Theater, and there is no better show in town than Jonah! Jonah is the popular biblical story of disobedience and betrayal coupled with God's gracious mercy and love. The show is both inspirational and uplifting, and it is entirely entertaining, too, exploring the extreme elements Jonah encounters when he runs away. Jonah runs for a limited engagement only at the Sight and Sound Millennium Theatre in Lancaster. This incredible theater offers you a larger-than-life experience that is just perfect for a show of this magnitude. With a 300 foot, wraparound stage, you can enjoy great views of the stage from any of the 2,000 seats in the house. 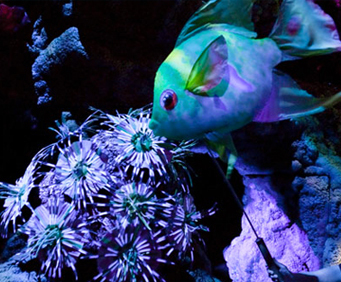 The theater also puts to use live and animatronics animals, pyrotechnics, a state of the art sound and lighting system, 3D video imaging, and more to bring this incredible story to life for you in a very realistic and fully engaging way. These incredible stage elements coupled with fabulous acting, brilliant costumes, and memorable musical scores with choreographed dance routines make this story of the ages a fabulous experience for all ages. Make plans to treat your family to a show unlike any other by purchasing your tickets to see Jonah at the Sight and Sound Millennium Theatre in Lancaster today! A great presentation...Don't miss it!!!! We are from canada. We came to penna. To spend christmas with family. Our grandsons came from tenna. And we took them to s&s. They were in awe of the place and the production. You helped us make some great christmas memories with our family. Thank you. The seat were the first row after the break which turned out great as my friend injured her foot and needed to wear a foot brace and she hobbled a lot, so those seats nobody was going in and out to make her stand. We visit lancaster quite frequently. We always enjoy visiting lancaster. We used to camp there , so we are no strangers to the area.